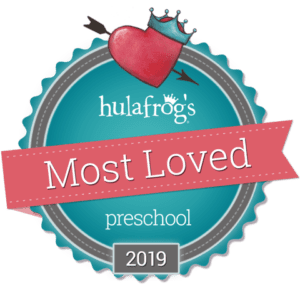 We are so excited to announce Little Sunshine Playhouse & preschool won the 2019 “Most Loved Preschool” from HulaFrog! To learn more about HulaFrog’s Most Loved, click here. Little Sunshine’s Playhouse and Preschool is recognized within the industry as a premier early childhood education program and is proud to be a part of the Dominion community in San Antonio, Texas. We offer an identity of unrivaled distinction in our brand image and high-profile architectural presence, and in the level of support and training, our franchise system provides the School Operators. “As the Program Director at our San Antonio-Dominion location, my passion for Little Sunshine’s Playhouse runs deep! I began my journey with Little Sunshine’s Playhouse years ago in Springfield, Missouri. Initially, I was certain that teaching was my passion until I promoted up through the ranks into senior management at our Springfield III location. When the opportunity arose to open up my very own market, I jumped on it and in March 2016 my husband and I relocated to San Antonio to launch this beautiful school. My favorite part of my role within Little Sunshine’s Playhouse is creating lasting relationships with my students and families. I look forward to meeting your family and embarking on this journey together! On a personal note, I’m happily married to the love of my life, Thomas, and we have three perfect fur babies who keep us on our toes. In my free time, I enjoy exploring San Antonio and the surrounding areas, trying out new restaurants and walking down every aisle of Target. “My name is Elia and I am so honored and excited to be serving as your Assistance Director for the very first Little Sunshine Playhouse and Preschool in San Antonio! I am eager to take this wonderful journey with you and looking forward to building bonds and getting to know each and every family. I am very passionate about being an advocate for your child. Being a unified team not only with staff but with families will ensure that every child has an opportunity to thrive and succeed in all areas of development. I am originally from California; there I began my journey in Early Childhood Education at UCLA. You name it I have done it in this field. I have over 25 years of experience and knowledge. My goal is to mentor all our staff and ensure that they as well as I continue learning and growing so that we are not only a support for the children and their families but for each other as well. As this new journey begins with LSP, so does a personal one for my husband and I as we now find ourselves as “empty nesters”. Our baby is headed to TAMUCC. We are so proud of all our 3 children! On my free time, I enjoy spending time with our 2-year old granddaughter and our 2 fur babies. I enjoy crafting and trying out various DIY projects when they turn out the way they should (he-he-he). The Dahler’s are the founders and franchisors of Little Sunshine’s Playhouse, and the owners of this preschool in San Antonio, TX. It is the pursuit of “something much better” in early childhood education for their own children that guides and shapes each of the Little Sunshine’s Playhouse schools. Matt and Rochette are dedicated and proud parents of Gillian, Riley and Paxon. Each of their children has thrived with the social and educational components that Little Sunshine’s Playhouse has provided for them from birth to Kindergarten. The entire family cherishes those early years, preschool memories and first friendships.